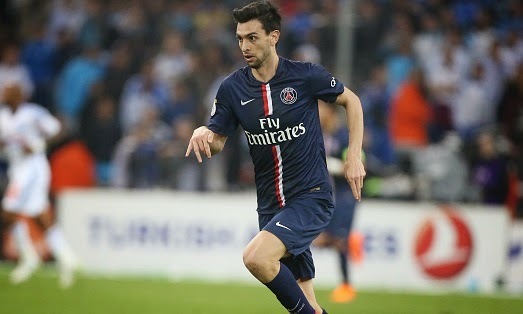 Transfer News - Arsenal to sign PSG midfielder Javier Pastore Arsenal are keeping close tabs on Paris Saint Germain unsettled midfielder Javier Pastore, according to Daily Mirror. Arsenal are keeping close tabs on Paris Saint Germain midfielder Javier Pastore, according to Daily Mirror. The Argentinean has entered his last year of PSG’s contract. The French giants have no plans to offer him a new deal as they look to sell him for a good price to help their summer transfer budget. Pastore is rated around £30million, according to the reports. Also Read: Arsenal injury updates! Pastore has been a regular player for the Ligue One side this season, he has assisted seven times in 27 league appearances. The 25-year-old wants to stay in France but is yet to be given a new deal despite of his decent performances this season. Meanwhile, Liverpool are also targeting him for the summer move, according to talkSPORT. However, the Gunners are leading the race. Liverpool boss Brendan Rodgers is eyeing him as Raheem Sterling’s replacement who has failed to sign a new long term deal which means that the Reds will need a new winger. Arsenal and Liverpool both will fight for his move in the summer, the French side will not sell him for less than £30million. On the other hand, Manchester United legend Eric Cantona revealed recently that he thought Pastore was a high quality player like Lionel Messi and Cristiano Ronaldo but he failed to prove himself.